Paul was elected to be the public figure head of the organisation in 2012. 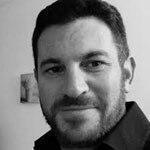 He writes and speaks frequently on Israel and the wider Middle East, and represents the ZF and Zionist supporters at events across the country. Born in South Africa, Paul lived for many years in Israel, where he served as a tank Officer in the IDF. Having then moved and studied in the UK, he now runs his own property evaluation business. 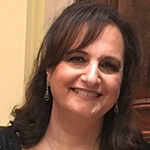 Emma has been at the ZF since February 2019, joining us from the UJIA. Emma’s background has been in fundraising and events, gaining a strategic oversight of many different areas of the community from age, demographic, political and religious. Emma’s journey with her love of Israel began in FZY where she also met her husband. The rest of her time is spent as a new mum, cooking and championing the cause of breaking the taboo around subfertility. Steve is responsible for overseeing the advocacy training programme for activists. He also takes an active role in the development and running of ZF campaigns as well as overseeing the ZF’s annual Israeli Knowledge Seminar. 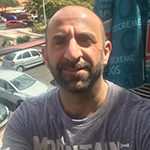 Steve was born in the UK but grew up in the Jewish community in Pretoria, South Africa before spending a year living in Israel doing Ulpan on kibbutz Ma’agan Michael where his love for Israel and Zionism grew. Back in the UK he trained and practiced as an architect before his passion for Zionism brought him to the ZF. Steve is also an accomplished professional photographer being short-listed for a “Travel Photographer of the Year” award for his life portraiture of people in the old city of Jerusalem. 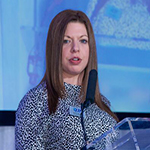 Leanne is the Office Administrator & Events Co-ordinator at the ZF. She also works on the ZF ‘s financial duties and ensures a smooth running of the office, making sure the staff have the adequate support to work efficiently. Leanne has been working at the ZF for over a year now, after graduating with a degree in Business Management & Accounting, and spending time travelling around South America with friends. Leanne was born in the UK and her love for Zionism grew even more after spending a year studying in Israel and frequently visiting Tel Aviv, where most of her family are currently living. In her spare time,Leanne enjoys spinning and being sociable with friends and family. Dalia was born in Israel, moving to Italy and Germany before settling permanently in the UK at the age of 12. She is married with four children – two of them now living in Israel – and seven grandchildren. Dalia has been at the ZF for over 10 years and has been responsible for a vast number of ZF events during that time. She enjoys organising the hospitality and logistic for speakers and performers visiting the UK. In her spare time, Dalia is very involved in her local community and synagogue. She likes cooking entertaining, planning parties, concerts and going to Israel.